At the beginning of the 20th century Etienne Camuzet, a winegrower at Vosne Romanée and MP for the Côte-d'Or, decided to expand his domain, by purchasing very specific parcels. He was the last person to own Clos de Vougeot before it was taken over by the fellowship of Tastevin. His daughter Maria Noirot left it to Jean Méo whose son, Jean-Nicolas, has been the director since 1989. 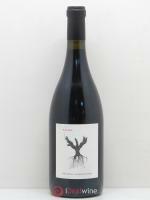 The aim of the domain is to make wines that combine structure, finesse, concentration and charm. With the help of Henri Jayer, advisor for winemaking and maturing, numerous practices have been put into place to achieve this aim: a strict limit on yields with green harvesting, systematically carried out even with the older vines. The Méo-Camuzet domain continues to exploit the mythical Premier Cru Cros Parantoux in Vosne-Romanée with Emmanuel Rouget, Jayer's last heir. Once the grapes are picked, another selection is made on a sorting conveyor belt and the grapes are then completely de-stalked. 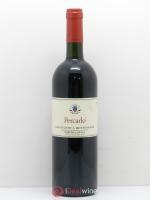 The wine is matured in new oak barrels to ensure optimum ageing. Bottling is carried out at the property after roughly 17 months of maturing. 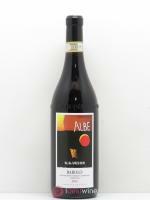 The wine is bottled using gravity-flow, without being filtered and, except in a few cases, without fining. 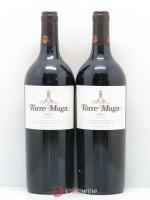 The wine is not modified to keep it as pure as possible. It is one of the greatest domains in Burgundy.